Earlier this week the news came out that Twitter is considering raising the character limit to 10,000. This provoked a lot of discussion. Bas van den Beld looks at why this choice would be a big mistake. For Twitter as well as for the entire web. No, this is not going to be another “Product or service X, Y or Z is dead” article. It could turn into one. If Twitter, the topic of this article, indeed decides to go ahead with a plan that seems to be a serious option. Twitter might increase the character limit to 10,000. Earlier this week I read this article on Re/Code about Twitter’s intentions. The title alone says enough: we might be seeing the end of Twitter as we know it. I believe that if Twitter actually goes on with this idea, it might be the end of Twitter as we know it. But not for the reasons you might expect. The article on Re/code doesn’t stand on its own. There is a history. Re/Code cites (anonymous) sources close to Twitter saying that there is a project inside Twitter called “Beyond 140”. A few months ago Re/Code also wrote about this. 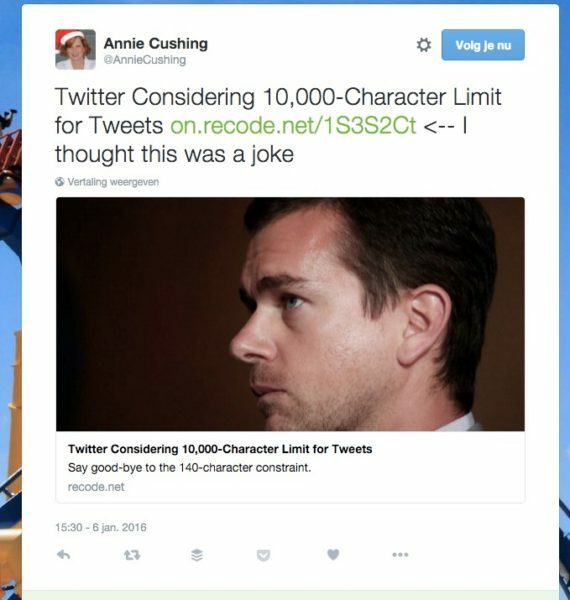 This week they went a step further: Twitter is said to not just go ‘beyond 140’, it would go to a 10,000 characters limit! Wowzers! I think many felt like this to be honest. Including myself. And even though this isn’t an official decision yet, chances are Twitter is actually considering this. A tweet from Twitter’s current CEO Jack Dorsey on Tuesday shows they are pretty serious about it. He used an image to share a longer piece of text (1298 characters) that is very clear. Twitter is considering this, or as Dorsey puts it: “we’re going to explore it”. I believe Dorsey’s Tweet shows where Twitter is going wrong, but more about that later. After the first surprise, other articles appeared that tried to put things in perspective. Some of them made some good points. First of all, I think it’s important to realize what Twitter is actually ‘going for’ in this case. 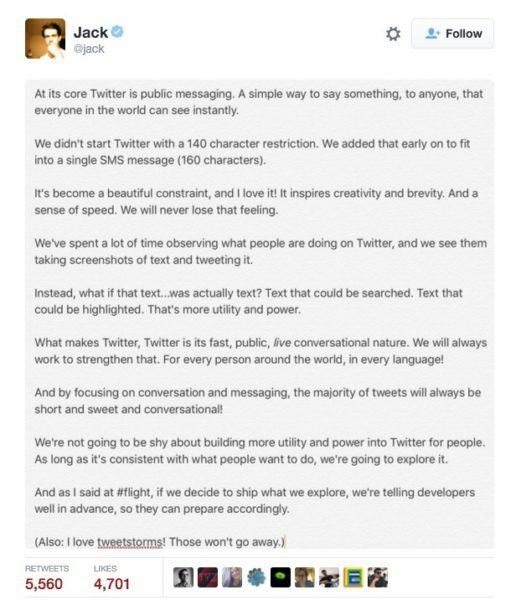 10,000 characters may sound like a crazy move from Twitter’s side. It is less of a big step than it seems to be. As in the saying, the soup is never eaten as hot as it is cooked. 10,000 characters is a lot. It’s about three times what you’ve just read if you came to here in the article. Which probably means I could publish this entire article in one tweet. Can you imagine what that would look like on Twitter? It would be unreadable. But don’t worry, you will never have to experience that. Twitter won’t show us updates that are 10,000 characters long. Instead, you would see the ‘normal’ 140 characters and a ‘read more’ to the rest of the content. In an article on Slate, Will Oremus explains why we shouldn’t ‘worry’ about this. He believes Twitter’s look and feel will not change fundamentally. Even though I think he makes some good points in the article, I think he misses an important element. Much like the other articles that try to put things in perspective, he misses a consequence. I’ll get to that consequence in a minute. If we want to know consequences, we should look at reasoning first. Why might Twitter be doing this? As Oremus states in his article, a big reason for Twitter’s move would be the competition. Twitter has been looking at the competition. What it saw was that platforms like Facebook, Instagram, LinkedIn, as well as Medium (built by former Twitter’s founder Ev Williams) are beating them. They are winning for two reasons: one is the ability of having long texts there (‘searchable text” as Dorsey hints at in his Tweet). More important: they have the content on their platform. This is where Twitter is ‘behind’ on the competition. Medium, Facebook, LinkedIn, they all manage to keep the visitors on their territory, where Twitter serves as a “hub”. Of course this is a lot more difficult to monetize. So the reasoning behind it makes sense. Twitter needs to do something to stay ‘in the game’. What could the consequences be? Still I feel it’s wrong. But why? It’s not for the design reasons. But I’d like to go a step further. What he is saying here is that what makes Twitter special is the conversation. Not the fact that the conversation is in 140 characters per tweet. This is where I think Dorsey goes wrong. For a few reasons and in a few ways. The conversation is one part of what makes Twitter special. That you can have that conversation with anyone around the world, instantly. But it’s not the only thing that makes Twitter special. I use Twitter in many ways. 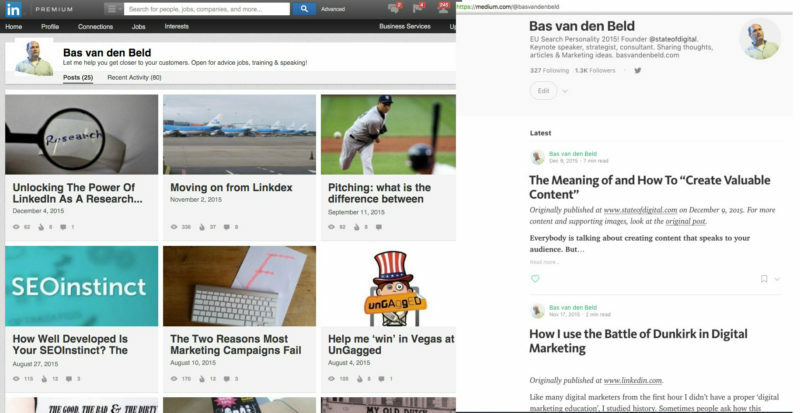 A big way is finding new content, new people and topics people talk about and sharing it. I do this directly on Twitter, using the people I follow and creating Twitter lists. I also do this using different tools. Nuzzel, for example, relies for a big part on Twitter. So do other tools that ‘manage’ my experience. The fact that people share links makes my web experience better. It’s a search engine without having to really search. It’s a search engine that is more real-time and current. And it’s a search engine that is endless. Where we stop at the 10 results on Google, on Twitter a search on a topic is different every day. Heck, every time we do the search it’s different. Now you will say ‘but that won’t change’. In fact you could argue that having the text on Twitter will only make this better. After all, Twitter could create better searches. They could, yes. But again, it’s looking at it from the wrong direction. It’s looking at the problem in a functional way. We should be looking at it in a psychological way. What will happen if Twitter decides to change the character limit to 10,000 is a few things. Most important: the reason why people post on Twitter will change. Marketers will see Twitter as a new place to put their content. Instead of sharing the link, they will share the entire article, most probably with the link in it. Much like we do on Medium and LinkedIn now. (Yes, we, I’m guilty as well). The effect? More content on the web. More of the same content on the web. Meaning more pollution on the web. Twitter is in no way helping the web forward with 10,000 characters. In fact, they’re only hurting the web. 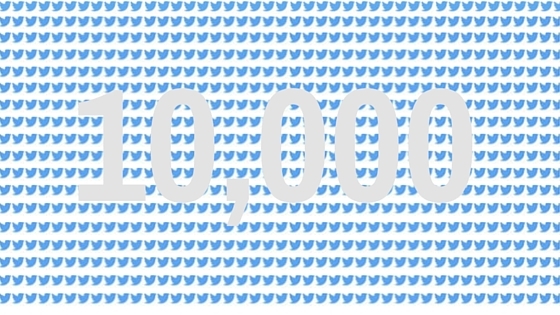 Twitter 10,000 characters idea is in no way helping, but is hurting the web. What about the conversation? Dorsey said they would do anything to keep that. That wouldn’t change right? Wrong. If Twitter gets more characters, the conversation will change. The conversational part of Twitter relies a lot on the characters. It forces people to think about what they are saying. It forces people to be short and to the point. It also creates the conversation. Put a bigger limit in and what will happen is that people won’t be communicating, they will orate more. People won’t care about the conversation, they will care about getting out there what they want to say. Now I know that already happens with 140 characters but it will only get worse with 10,000. People won’t read the debate (too long), they will just be working on getting their own texts out. Leaving the conversation. These are two changes (and there are more) that I believe will significantly change the way Twitter works. More important: it will change the way how people use Twitter. Which means Twitter, as we know it, will be dead. And it will be just another publishing platform.